Who are Ward Maedgen Accident Attorneys? Ward has worked hard to build his law office on a simple premise: Everyone, regardless of their financial status, deserves dedicated, zealous representation everyone should have a fair chance in every case in or out of the courtroom. Among other accolades, Ward has been named in D Magazine’s – The Best Lawyers in Dallas – for 2007 and 2008, and listed for 2004, 2011 – 2016 in SuperLawyers®, a Thomson Reuters service, and has been Board Certified in criminal law by the Texas Board of Legal Specialization. 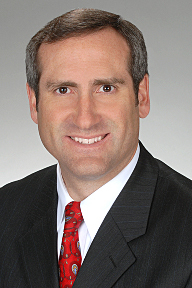 Ward brings a unique perspective to the table based on his years of experience in the courtroom as a former assistant district attorney in Texas. His cases have been featured in both television and newspaper including Dallas Morning News, Fort Worth Star Telegram, WFAA Channel 8, KTVT Channel 11, KXAS Channel 5, FDFW Fox 4 news, and Fox News. Few personal injury attorneys in the area have the exhaustive trial background that gives Ward his arsenal of strategies in jury trials, expert testimony, cross examination and other courtroom skills which can only be won with years of hard experience. Ward puts those skills to practice in the Law Office of B. Ward Maedgen, P.C. Our firm has years of experience successfully representing clients in small to very serious personal injury cases. In addition to vehicle accident cases, we have fought for victims of wrongful death claims, workplace injury, sexual assaults, trade school fraud, and more. We’ve also garnered unique experience in serious cases involving Complex Regional Pain Syndrome (CRPS), Reflex Sympathetic Dystrophy (RSD), as well as brain and spinal cord injury. Memberships: State Bar of Texas; College of the State Bar of Texas; American Inns of Court – William “Mac” Taylor Inn of Court; Dallas Bar Association; Dallas Criminal Defense Lawyers Association. Board Certifications: Board Certified-Criminal Law, Texas Board of Legal Specialization. Many people don’t realize that there are significant differences from one personal injury attorney to the next and usually are unaware of the difference. Before you decide on which firm you allow to represent you, give us a chance to answer your questions about what truly sets our firm apart. We handle all personal injury cases on a contingency basis. WE DO NOT CHARGE A FEE unless we obtain a recovery settlement for your personal injury. We advance litigation all costs and expenses related to your case, and we do not recoup these costs unless we collect money for you.